Making storage beds for the last ten years, we are pretty confident that we have created the perfect storage bed. And this perfect storage bed goes by the name of Max. Max offers a whopping 35cm of storage, that can fit everything from car seats to full sized suitcases. But, perfect isn’t enough for everyone and some people want more – understandably! If you are after an extra large storage bed, then we can make that for you too. It’s no Max, definitely a little chunkier and higher off the ground, but it offers even more storage. Extra large storage to be exact. So if you are after all the storage that you can get, then perhaps our Max+ is the bed for you. What is an extra large storage bed? An extra large storage bed doesn’t mean that it has a big footprint. It simply means in Furl’s terms that it has a lot of storage. 40cm of storage – that is the height or the depth of any item that you can store in there. So suitcases, snowboards, clothes, car seats, wine, shoes, duvets, you name it (or bring it to our showroom to try it) and it can probably fit. An extra large storage bed is quite a high bed though, and so will look a little chunkier than our other storage beds. The foot print however is exactly the same as all of our other storage beds. So it won’t physically take up more space in the room, but it will visually look larger in the room. Do I need a Super Max bed with even more storage? 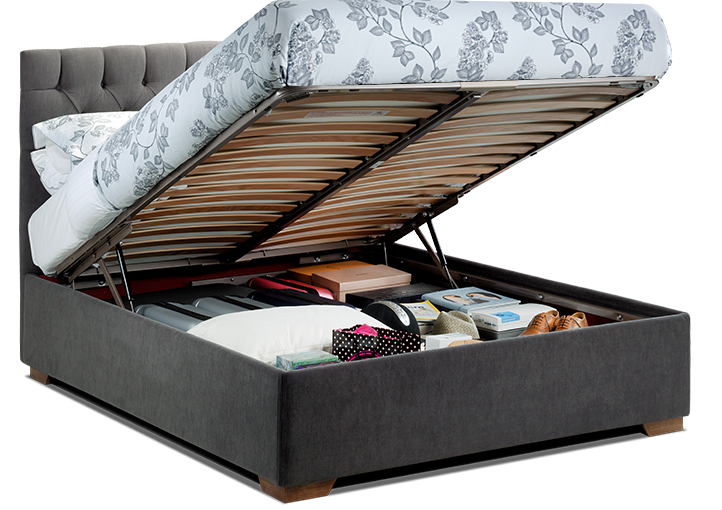 We would still always advise our Max bed, because it is the perfect height with a lot of storage. But if you feel like you need even more storage and you want us to make it larger for you we will. Or if you are quite tall and a higher bed would be better for you then yes, Max+ or ‘Super Max’ should be your selection. Not looked into bed heights for a long time? This article helps to explain the average bed heights, including both the mattresses and the bed frame. Our Max+ frame would be 43cm from the ground, and with an average mattress depth of 25cm would increase to 68cm in total, which is higher than average. Our Max frame is 38cm from the ground, with an average mattress depth of 25cm would increase to 63cm in total, which means your feet should touch the floor. What do you think we should call it? Super Max or Max+? Tweet us your thoughts and the best one will win!